There have been a ton of tributes to David Bowie since his death last Sunday. Here's another small one. In 1997, the movie Seven Years in Tibet was released. Starring Brad Pitt, it was based on the book of the same name written by Heinrich Harrer about his time in Tibet between 1944 and 1951. I never saw it, but I was aware of its existence. Earlier that same year, David Bowie released a record titled Earthling that contained a song also called "Seven Years in Tibet." That song and a handful of others ended up on a limited edition EP distributed by GQ Magazine called Earthling in the City. I no longer remember how, but I came into possession of that random EP that probably almost no one remembers existed. I suppose I bought the magazine it came with or maybe someone gave it to me, but who knows? I do remember believing there must be some connection between the movie and the song, though that turns out not to be the case at all. Still, I listened to the song almost exclusively because of a vague awareness of a Brad Pitt movie I wasn't even that interested in. Earthling is not remembered as one of Bowie's best albums, though I'd wager it has a few champions. One of the amazing things about David Bowie's music career is that he did so many different things, they probably all resonated with a handful of people. Still, I'd guess that "Seven Years in Tibet" doesn't make many Bowie top 10 lists. But it's on there for me because of how it completely changed my understanding of, and relationship to, David Bowie. That song was not my introduction to Bowie. I knew "Space Oddity" and "Changes." I knew "Let's Dance" and "Under Pressure. "* I even knew the version of "Little Drummer Boy" he did with Bing Crosby, and I had learned of "The Man Who Sold the World" from the acoustic Nirvana version. But the songs from Earthling in the City and the minor hit "I'm Afraid of Americans" from Earthling and its fantastic video were the first things he released in my life that I was aware of when they came out. Everything else was "old" to me. 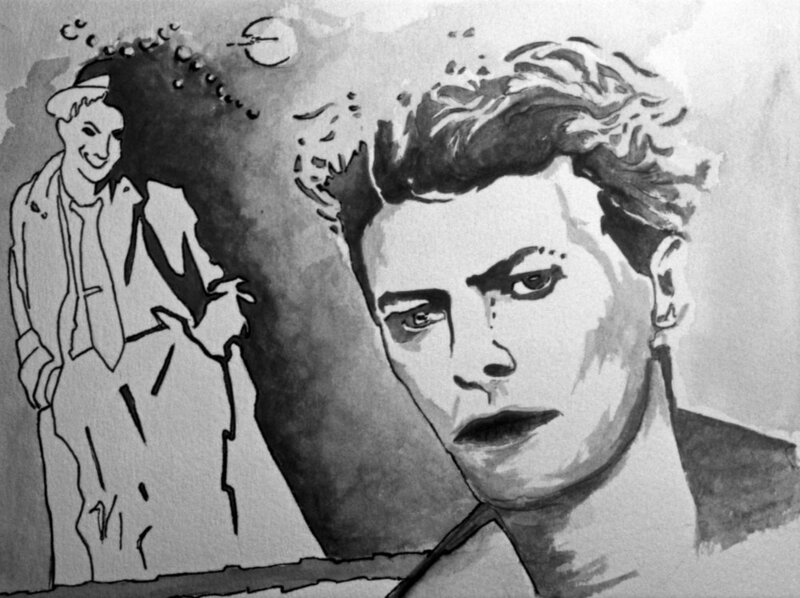 Overnight, I went from thinking David Bowie was vaguely cool with a few good songs for an old guy to someone who was legitimately interesting and creative in my time. And that didn't stop over the remaining twentyish years of his life. I think a lot of us sorta felt like it never would at all. I'd argue that "Seven Years in Tibet" is quintessential Bowie. It sounds like it belongs in the era it was made while sounding like it could have come from a number of eras in Bowie's career. It sounds exactly like something he would record without sounding like much of anything else he had recorded up to that point. These are amazing achievements as an artist. Much of the time–perhaps especially with music–if an older artist releases something that receives critical praise or mainstream success it's often seen as a return to form, something that hearkens back to that artist's heyday. If you're not fond of that heyday, it's unlikely to change your mind. But Bowie could. He could do something so unlike anything else he'd done that people who thought they didn't like his work would find they suddenly did. There's so much more that could be said about him. He stole scenes as an actor. He was a fashion icon. ** He was walking, talking cool. I wasn't really a dedicated Bowie fan, not the way that people like him attract rabid and devoted followers, so I won't pretend I am. But I'm sad he's gone, and he'll be missed. To be perfectly honest, I'm not convinced he died. I think it's entirely possible, even likely, that he instead graduated to some higher plane of existence. David Bowie probably exists somewhere outside of space-time now, surveying the universe from the fourth dimension or beyond. Here's his final video from his final record, Blackstar, released just days before his death. It's weird and beautiful and perfect. David Bowie even dies cooler than everyone. *You should listen to this a-capella version of "Under Pressure. Dem guys was good. **Which is, of course, why he was uniquely qualified to judge the epic Hansel v. Zoolander walkoff.